Data Recovery for Dallas Texas, Fort Worth TX, DFW Metroplex | Recover Data from computers, laptops, servers, hard drives. Before we start to work with clients, we seek to understand their business and the level of importance that technology has on it. Typically the busineses we work with are significantly dependent on technology so we strive to provide them with the perfect mix of technology and service that will enhance their core business results. Our Rapid-Response Support service includes phone, email, chat, and remote control of all but the most technically complex issues. Emergency on-site service and support is offered 24 hours a day and available whenever and wherever you need it. Have you lost critical data due to errors, damage or computer problems? In most cases we can recover data from failed laptops, hard drives, desktop PCs, servers and digital cameras. If the answer is YES to any of the above questions, then we certainly can help. Recover your important data quickly and easily using our Data Recovery service. Professional off-site data recovery is available for physically damaged media, media that has been dropped, media that has been in fire or water or for internal mechanical or electric problems. Our highly trained engineers can recover data from every operating system and every storage device in every data loss situation. Our on-site service is available if you require more security or have strict deadlines for the recovery of your data. Our data recovery specialists can come to your office. 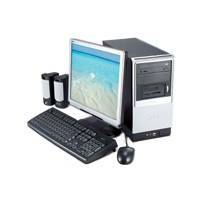 They can perform a complete diagnosis and data recovery for most data loss situations. Call for onsite recovery rates. The total cost of your recovery depends on the nature and severity of your data loss situation. We do provide data recovery services to businesses of all sizes all over Dallas Fort Worth, TX. Note: Data Recovery fees do not include replacement parts. A data recovery inspection fee charged separately only when no data recovery is authorized. Metroplex Tech recommends regular data backups and assume no responsibility for lost or corrupted data. Metroplex Tech can provide reliable data backup solutions for small to large organizations. Database Recovery, Data Recovery in Dallas Texas, Data Recovery Services, Data Recovery Specialists, data recovery hard drive, floppy data recovery, hard disk data recovery, recovery of data hard disk, data loss, hdd recovery of data, lost recovery of data, computer recovery of data, recovery of data floppy, raid recovery of data, recovery of data Windows, professional recovery of data services, data labs, data clinic, smart media recovery of data, HD recovery of data, XP recovery of data, disaster recovery, NT recovery of data, recover data in Dallas Texas, Maxtor hard drive recovery of data, windows recovery of data, compact flash recovery, recovery of data services DFW. Dallas Texas document recovery, document recovery Dallas Texas, Maxtor document recovery, Seagate document recovery, IBM document recovery, Hitachi document recovery, Toshiba document recovery, SCSI document recovery, RAID document recovery, Iomega document recovery, laptop document recovery, pc document recovery, computer recovery, advanced document recovery, document recovery experts, sata document recovery, USB document recovery, IDE data recovery, firewire data recovery, data erasure, data wipe, secure data shredding, secure data wipe, File recovery, Western Digital Data Recovery, flash card document recovery, Maxtor hard drive document recovery, Seagate hard drive document recovery, IBM hard drive document recovery, Hitachi hard drive recovery, Toshiba hard drive recovery, SCSI harddrive recovery, raid harddrive file recovery, Iomega hard drive file recovery, laptop hard drive file recovery, pc hard drive file recovery, computer hard drive file recovery, advanced hard drive file recovery, recovery experts, Samsung Recovery Services, Quantum Data Recovery, Fujitsu Hard Drive Recovery, Windows Data Recovery, Dell laptop data recovery, Dell PC data recovery, Dell computer data recovery, Sony Vaio data recovery, Texas data recovery serviing Dallas Texas DFW.